Disaster recovery as a service (DRaaS) solutions provide businesses with failover insurance to cloud computing environments. Business owners and IT management teams will sign on with a third-party DRaaS provider to reduce the burdens of continuously backing up business data. The business sets standards for data storage, and outlines plans for information recovery after data loss. These products provide a level of security in case of a large-scale data breach or mechanical failure. Instead of using their own infrastructure to prevent data loss, third-party vendors keep all information stored off-site, isolating the environment from the business’s main network. In the case of a disaster, DRaaS providers will enact their set plan, reducing or eliminating downtime for business applications, customer-facing products, and internal networks. DRaaS offerings can provide similar solutions as backup software, but offer more functionality as information is stored completely separately from normal company data. Backup software is better suited for minor incidents and small amounts of data being lost, but DRaaS solutions fail over into the cloud, keeping applications running normally. Disaster Recovery as a Service (DRaaS) reviews by real, verified users. Find unbiased ratings on user satisfaction, features, and price based on the most reviews available anywhere. Bluelock (acquired by InterVision) has been recognized as a top provider of Disaster Recover-as-a-Service (DRaaS) by Gartner, Forrester and IDC analyst firms. Its exclusive program, Bluelock Recovery Assurance™ gives clients complete confidence that their disaster recovery solution will be uncompromisingly secure, thoroughly supported and comprehensively tested. With datacenters in the US, Bluelock DRaaS supports a wide range of compliance frameworks and is SOC 2 Type II audited. In March of 2018, Bluelock was acquired by InterVision, and IT solutions provider with a broad portfolio across on premise, managed cloud and hyperscale clouds. Bluelock leverages best of breed backup, replication and HA technologies such as Zerto, Veeam and Vision Solutions/DoubleTake. Our proprietary software, Bluelock Portfolio™, pulls data from these tools and key internal sources to provide insights for spending, recovery capability and verification for stakeholders with a single consolidated dashboard. Bluelock’s dedication to helping midsize and enterprise clients mitigate risk and provide continuous availability has resulted in the highest customer satisfaction scores in the industry. Protect sensitive data and seamlessly bridge any interruption with our tailored DRaaS solutions. StorageCraft® ShadowProtect® provides backup and disaster recovery, data protection, and managed system migration for Windows systems on virtual and physical machines. Recover systems, applications, and data to the same or different hardware or virtual environment. If you’re working in a hybrid environment, you’ll likely appreciate being able to run one backup and recovery software solution on all workstations and servers, whether physical or virtual. CloudEndure offers a comprehensive suite of multi-tier IT resilience solutions to meet users' ever-changing disaster recovery, backup, and migration needs. Evolve IP’s disaster recovery suite protects your data and allows you to recover your environment based on how your business runs and the way your infrastructure is designed. From fully managed DR to self-managed solutions to essential cloud backups we have a service that enables IT resilience and fits your recovery time-frames, budget and compliance needs. We use the technologies, tools and interfaces your team trusts and your executives know - Zerto, VMware, Nimble, EMC and more. SERVICE HIGHLIGHTS: 1. Managed DRaaS: Fully-managed 24/7/365 failover, recovery and testing including up-front plan development. 2. Disaster-Recovery-as-a-Service (DRaaS): Self-managed, fast, secure backups, replication, and restoration within Evolve IP’s cloud. 3. Backup-as-a-Service (BaaS): secure backups from your onsite desktops and servers or from your local Veeam appliance to Evolve IP’s cloud. 4. Hypervisor Replication: VMware and Hyper-V virtual machine replication, testing, failover and failback to Evolve IP with near real-time RPO and RTO. 5. Server Replication: agent-based server replication and failover between client systems and Evolve IP availability zones. 6. SAN Replication: fast, reliable, and efficient data backup solution for top-tier, on-premises storage devices. 7. Desktop Reliability: pre-built and tested backup desktop resources, available on-demand. 8. The Evolve IP Compliance Cloud: True client isolation, encryption in transit and at rest, private VLANs and firewalls in our third-party audited cloud. 9. DR Plan Development and Consulting: customized plan development and testing based on your unique business requirements per system. 10. Backup for Office 365: Using modern Availability software, IT can leverage cloud backup and recovery to assert greater control over Office 365 access and protection. For more information about Evolve IP's DRaaS suite, please visit: www.evolveip.net/draas-suite. VMware Site Recovery Manager Disaster Recovery Software Discover the industry-leading disaster recovery software to enable application availability and mobility across sites in private cloud environments with policy-based management, non- disruptive testing and automated orchestration. VMware vCloud Availability for vCloud Director enables VMware Cloud Providers service providers to offer simple, cost-effective cloud-based disaster recovery services that seamlessly support their customers’ vSphere environments. Zerto gives clients a secure, flexible, and scalable disaster recovery solution. These single tenant environments are deployed on IBM Cloud's data centers and provide cloud application recovery in minutes. 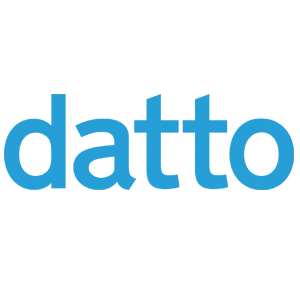 Datto SaaS Protection ensures you can recover quickly from any form of data loss. Engineered to be your failsafe in the cloud, SaaS Protection gives you consistently reliable backups, granular restores and exports, security for data compliance and regulatory needs, and world-class 24/7/365 support. Enable rapid recovery with continuous replication to the cloud. Powered by innovative technology and the expertise of trusted DRaaS providers, DRaaS delivers an IBM fully managed service helping businesses to reduce costs and at the same time gaining IBM’s credible history of resiliency expertise. DRaaS provides end-to-end integrated services using private, public or hybrid cloud. Business Continuity Clustering works with Open Enterprise Server and Cluster Services to provide site-to-site failover of critical workgroup and networking services. OneCloud provides a Disaster Recovery-as-a-Service by leveraging the public cloud. ReclaiMe File Recovery recovers data from hard drives (internal, external, and laptop), memory cards used in cameras, mobile phones, PDAs, MP3 players, USB drives (also called "thumb drives" or "pen drives"), RAID arrays and multi-disk NAS devices. 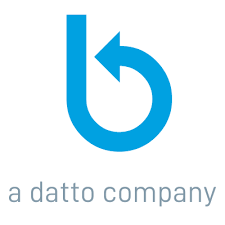 Remote Data Backup is a business continuity software that works as an offsite data protection service. SecureRecovery for Windows helps to recover files from logically damaged Windows and Mac OS X volumes. SingleHop is a leading global provider of hosted IT infrastructure and cloud computing. The company's powerful portal and award-winning automation platform make it simple to design and support the optimal cloud environment. Their service includes full life-cycle, white-glove support, flexible managed service offerings, instantly-scalable solutions, and comprehensive, integrated security. SingleHop serves more than 5,500 customers in more than 124 countries with data centers across the United States and Europe. Product Offering Dedicated Servers SingleHop dedicated servers are fully customizable using enterprise-class technologies and hardware from leading global provider. Upgrade the hardware, change the software or even stipulate the level of managed services. Your servers are guaranteed to be online, secured and ready for use in three hours, with an average time of 60 minutes. Private Cloud Hosted private clouds are scalable, isolated computing environments custom-designed and rightsized for any workload or application migrated for free. Singlehop private clouds are built with your specific needs in mind, allowing you to reduce time spent managing infrastructure, while still maintaining control. They are ideal for organizations that need to be HIPAA or PCI compliant. Managed AWS There’s no need to learn the sprawling, complex AWS ecosystem. Service First Support for AWS by SingleHop’s, can help you with everything from choosing the right instances and tools for your applications and designing redundant and secure environments, to managing migrations and optimizing deployments. Managed Azure SingleHop’s Microsoft Certified Engineers design and manage the optimal Azure environment, helping you build faster and minimize risk. Our powerful cloud automation platform and dedicated team help to not only keep your team focused on major business objectives, but also let you retain control — as if it were managed in house. Cloud Backup Off-site cloud backups provide the highest level of data protection and redundancy. As a Veeam Cloud and Service Platinum Provider, SingleHop delivers off-site backups with full control, visibility and compliance. Try it with our free 30-day trial. Disaster Recovery as a Service SingleHop offers DRaaS plans for every organization with ‘Standby’ and ‘Active’ options. Don’t let your business’ critical data remain vulnerable to natural disaster or cyber attack, put a DRaaS plan in place today. Arcserve UDP Cloud Hybrid is offered as a service extension to the Arcserve UDP platform. Assurance Continuity Manager is a business continuity software that helps companies increase efficiencies, and mitigate risk. It helps businesses to manage recovery. Assurity DR is a software-as-a-service predictive modeling solution for Disaster Recovery planning, testing, and execution. It provides greater information to the Disaster Recovery team to plan and predict recovery time completion during testing and execution. Axcient Fusion is an enterprise-grade disaster recovery in the cloud designed to consolidate and converge critical non-production workloads into a single cloud platform. Axxana offers Phoenix System, which provides disaster proof storage solutions. BIPs-POD is a business continuity software that integrates service providers infrastructure for fully automated protection. CharTec's BDR service includes free access to CentralPoint, a multi-vendor backup portal that allows you to see all of your backup devices and servers from a single dashboard. Windstream's Cloud Connect is a cloud connectivity platform designed to provide highly secure, private, dedicated access to third-party hosted cloud services, ensuring a faster, safer, more reliable and available cloud experience. Cloud Disaster Recovery is a one-click, automated disaster recovery for on-premises and cloud workloads. With Cloud Disaster Recovery VMs are recovered in minutes in your AWS VPC, and VPCs can be cloned across regions / accounts for greater resiliency. Hi there! Can I help you find the best Disaster Recovery as a Service (DRaaS) solutions?